Pre-Coated Profile Sheets are produced by a pre-painted and prefinished process instead of putting color coating after complete sheet formation. The significant advantage of the pre-coating is its ability to offer a homogeneous coating with very reproducible thickness, colour and finish that helps to achieve better life and aesthetics. Light weight : Through whole processing, to keep the low density of the sheets combined with excellent strength is given the utmost importance. Thus, these sheets can be easily installed or dismantled without any difficulty. Fine Finish : These sheets are uniform quality and the colors are coated uniformly colored coating. The colors are chosen from the latest color coating line. 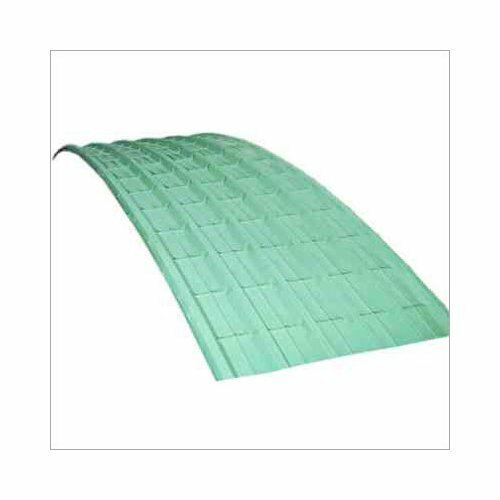 Good Heat insulation : The color coating on these sheets has strong insulating properties and thus these sheets give the excellent protection against heat. Water resistant : With water resistant properties, water cannot stand on these sheets. High strength : Better tensile strength makes these sheets to bear heavy loads. Attractive appearance : The sheets are available in attractive range of colors that make these sheets very appealing in look. Eco-friendly : These sheets are manufactured in compliance with the environment safety. Economical : Since they require no added coating and have high durability, compared to other range of cladding sheets, lots of saving can be achieved.